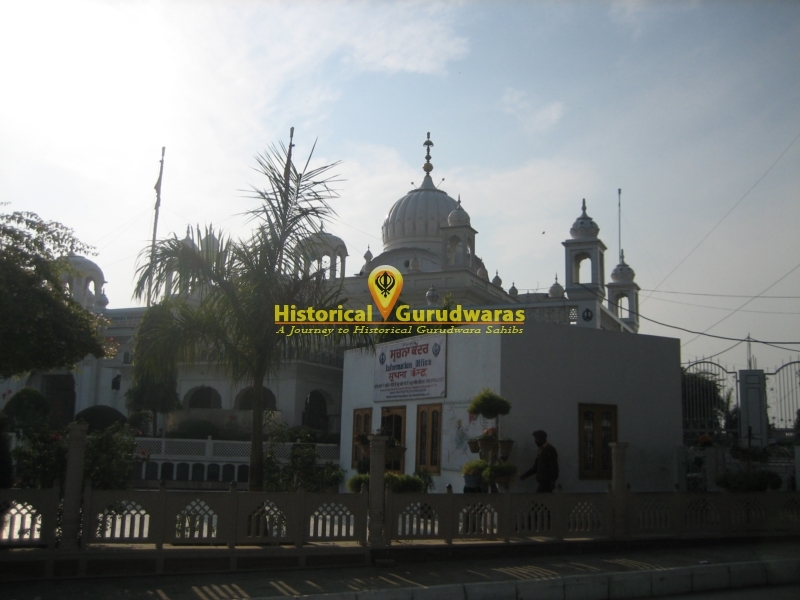 GURUDWARA SHRI DARBAR SAHIB KHADOOR SAHIB is situated in the Khadoor Sahib city in Tarn Taran Distt. The Eight Guru Sahibaans with their visits to this place made this land a Holy place. SHRI GURU NANAK DEV JI during his preaching tours, came 5 times to this place. GURU SAHIB used to stay at BIBI BHARAI's house. During GURU SAHIB's last tour when BIBI BHARAI requested GURU SAHIB to stay for one more day, GURU SAHIB replied that he would stay for many days & would take rest on this bed only where he was sitting. SHRI GURU ANGAD DEV JI sat on the throne at Kartarpur Sahib, Pakistan. When he came back to Khadoor Sahib, As per the instructions of SHRI GURU NANAK DEV JI, he stayed at BIBI BHARAI's house for 6 months & 6 days & devoted himself to Naam Simran. GURU SAHIB took rest on the same bed regarding which SHRI GURU NANAK DEV JI told about. 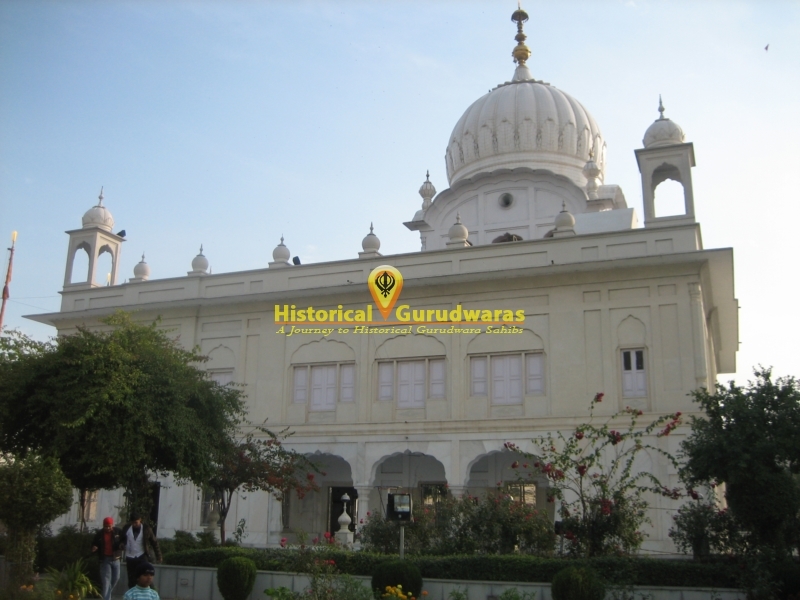 SHRI GURU ANGAD DEV JI spent rest of his life time as a GURU (around 13 years,) here only by serving his followers with Naam Updesh and at last on March 29th 1552 A.D. , GURU SAHIB Left his heavenly abode at this place. 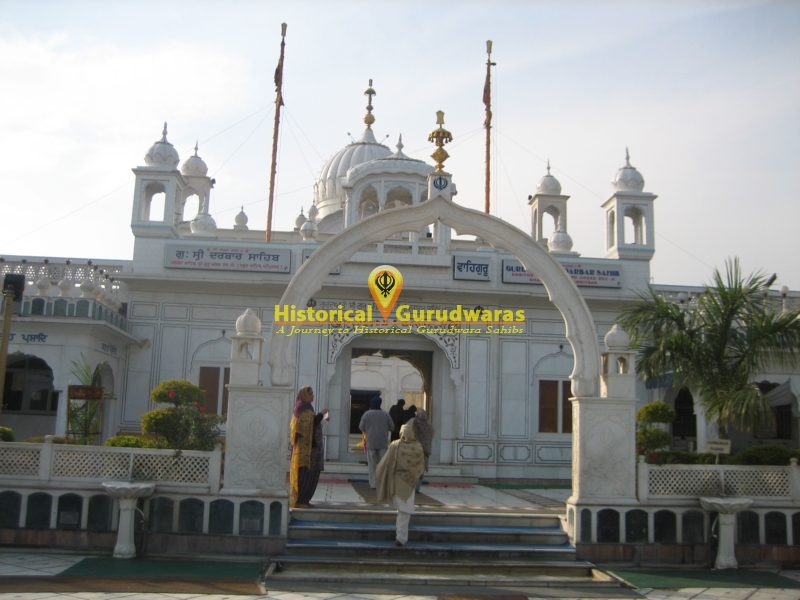 SHRI GURU AMARDAS JI :-In the year 1541, SHRI GURU AMARDAS JI came to SHRI GURU ANGAD DEV JI and served for around 12 years, with his devotional service, used to fetch a water filled Gaagar early morning from the Beas river Goindwal Sahib, which is around 9 kms away, for GURU SAHIB to take bath. His service was acknowledged & hence he got "Gurta Gaddi". SHRI GURU RAMDAS JI while going from Goindwal Sahib to Guru Chakk (Amritsar), visited KHADOOR SAHIB. SHRI GURU ARJAN DEV JI while going from Goindwal Sahib to Amritsar, visited KHADOOR SAHIB. SHRI GURU HARGOBIND SAHIB JI after the marriage of his daughter, BIBI VEERO, went to Goindwal Sahib through KHADOOR SAHIB along with his family. Also some scholars of Sikh Panth, after the cremation of BHAI GURDASS JI, spent the afternoon at KHADOOR SAHIB while going to Amritsar. SHRI GURU HAR RAI JI while going to Goindwal Sahib along with 2200 horse riders, visited KHADOOR SAHIB on the way. SHRI GURU TEG BAHADUR JI after acquiring the GURGADDI, in relation to the upkeep of the various places related to the First GURU Sahiban, came to KHADOOR SAHIB. Religious Scholar BABA BUDDA JI spent around 12 years here. Here only BABA JI applied Tilak to SHRI GURU AMARDAS JI when he took GURGADDI. Great Philosopher BHAI GURDASS JI spent quite a long time here. 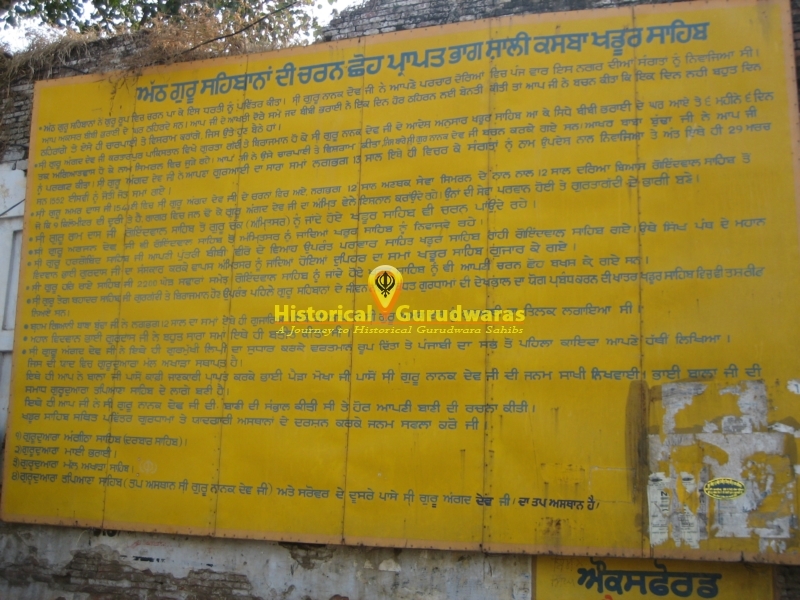 Here only SHRI GURU ANGAD DEV JI worked on improvement of Gurmukhi Lippi & wrote the first Punjabi book in remembrance of which GURUDWARA MALL AKHARA has been built. Here only SHRI GURU ANGAD DEV JI collected information about SHRI GURU NANAK DEV JI, from Bhai Bala Ji and got it documented from Bhai Paira Mokha Ji. SHRI GURU ANGAD DEV JI took care of the "Baani"written by SHRI GURU NANAK DEV JI (writings in Guru Granth the sacred book of the Sikhs) & also wrote his "Baani". Bhai Bala Ji's grave is built near GURUDWARA TAPIANA SAHIB. 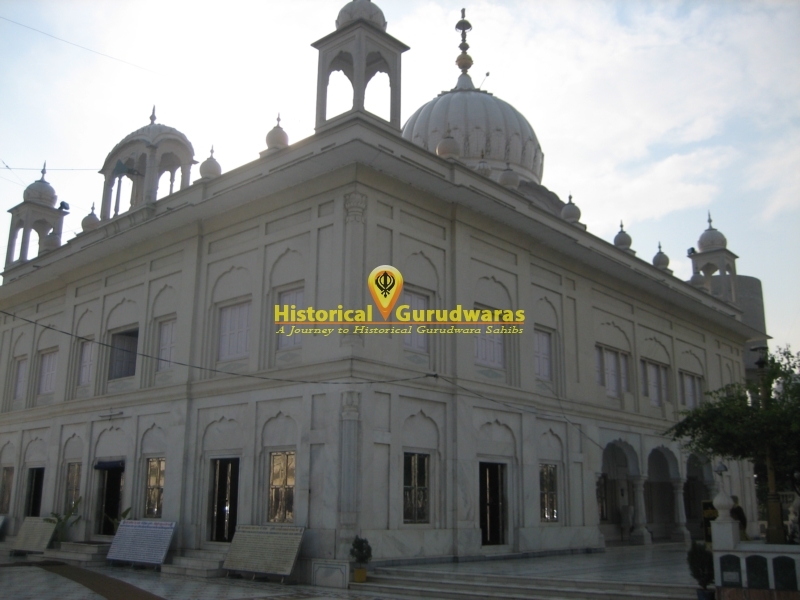 GURUDWARA ANGEETHA SAHIB : It is a historical fact that SHRI GURU ANGAD DEV JI lived at KHADUR SAHIB for a long period. He left for heavenly abode at KHADOOR SAHIB after performing many great religious, social & cultural activities. 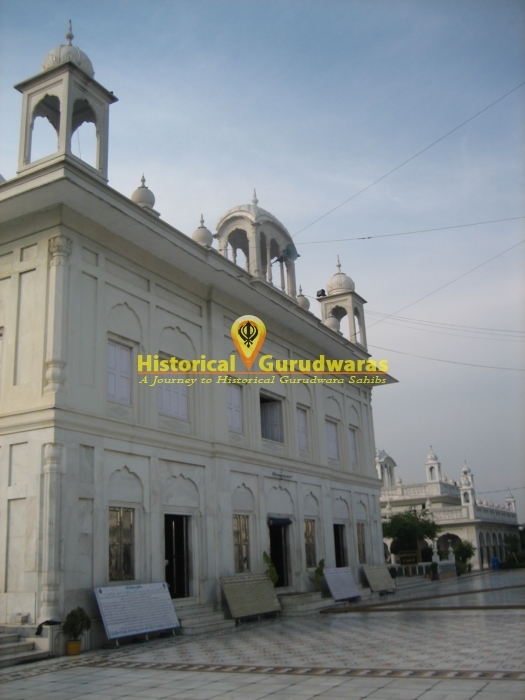 The place where GURU'S last sacred rites were performed is given the name of ANGITHA SAHIB PAATSHAHI DUSRI. 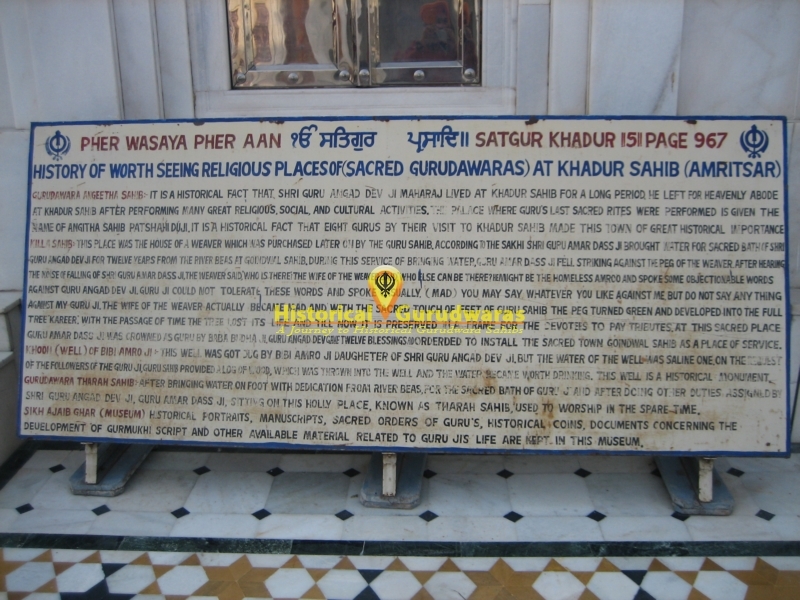 It is a historical fact that the Eight Gurus by their visit to KHADUR SAHIB, made this town of great historical importance. 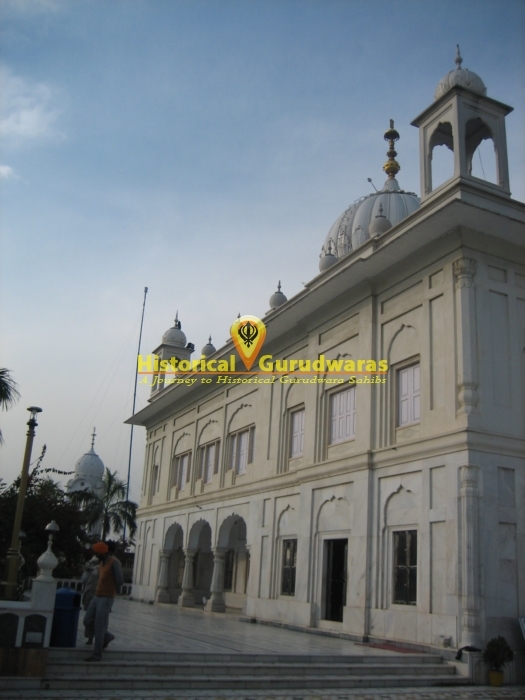 KILLA SAHIB : This place was house of a weaver which was purchased later on by Guru Sahib. According to the SAKHI, SHRI GURU AMARDAS JI brought water for sacred bath of SHRI GURU ANGAD DEV JI for twelve years from the river Beas at Goindwal Sahib. During this service of bringing water, SHRI GURU AMARDAS JI fell striking against the peg of the weaver. After hearing the noise of falling of SHRI GURU AMARDAS JI, the weaver said " Who's there?". The weaver's wife replied " Who else might be there. He might be the homeless Amroo" & spoke some objectionable words against SHRI GURU ANGAD DEV JI. SHRI GURU AMARDAS JI could not tolerate these words & said casually " Mad, you may say whatever you like against me but donot say anything against my GURU SAHIB. The weaver's wife actually became mad & with the sacred touch of feet of GURU SAHIB, the peg turned green & developed into a full grown "KAREER" tree. With time, the tree lost its life & till now its preserved in a frame for the devotees to pay tributes at this sacred place. SHRI GURU AMARDAS JI was crowned as GURU by BABA BUDDA JI. SHRI GURU ANGAD DEV JI gave twelve blessings and ordered ti install the sacred town GOINDWAL SAHIB as a place of service. KHOOH (WELL) OF BIBI AMRO JI: This well was got dug by BIBI AMRO JI, daughter of SHRI GURU ANGAD DEV JI, but the water of the well was saline. On the request of the followers of GURU JI, GURU SAHIB provided a log of wood which was thrown into the well & the water became worth drinking. This well is a historical monument. GURUDWARA THARAH SAHIB: After bringing water on foot with dedication from river Beas for the sacred bath of GURU SAHIB & after doing other duties assigned by SHRI GURU ANGAD DEV JI, SHRI GURU AMARDAS JI, sitting on this holy place known as THARAH SAHIB, used to worship in spare time. 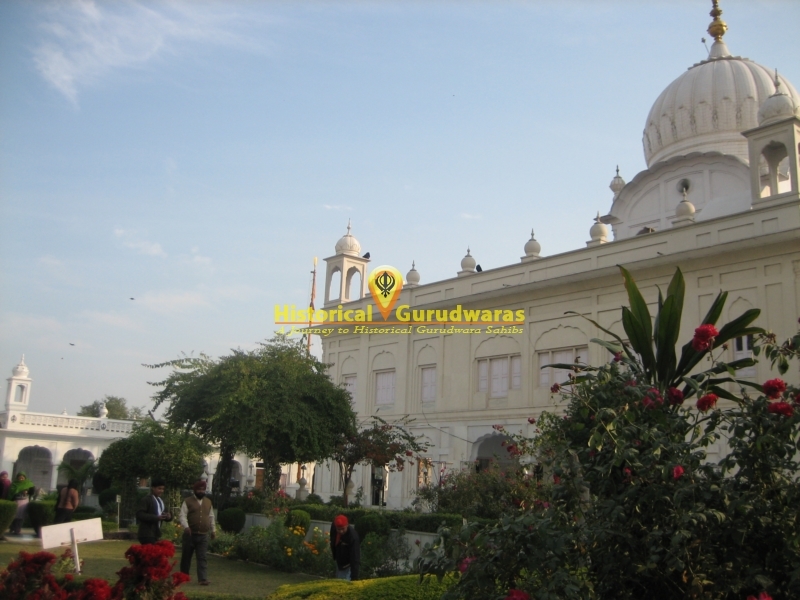 SIKH AJAIB GHAR( Museum): Historical potraits, manuscripts, sacred orders of GURU'S, historical coins, documents concerning the development of Gurmukhi script & other available material related to GURU SAHIB's life are kept in this museum.